Award-winning artist Kitty Cantrell is known for her striking, intricately designed and detailed animal sculptures. To ensure the authenticity and accuracy of her sculptures Kitty spends numerous hours researching the animals. She believes that her sculpture art work is a way for people to better understand the wild creatures of the world. Buy one of these exquisitely crafted Kitty Cantrell dolphin sculptures and impress any visitor to your home. The peace and serenity of the dolphin species are certainly what makes their home a destination of paradise. Here, a family of dolphins enjoy existence and life at its simplest. Designed by Kitty Cantrell. Limited edition of 1,250 pieces. This happy dolphin smiles and squirms as he seems about to play! Definitely a cute Critter! This "Porcelon(TM)" sculpture, finished in genuine hot-torched patinas, was designed by Kitty Cantrell, and is a limited edition of 950 pieces. A pack of dolphins swim along with a powerful wave in a harmony that can only be found under the sea. The fluidity and smooth motion of the dolphins is truly one of the more remarkable aspects in this sculpture. This brightfully blue dolphin exudes a wonderfully cheery disposition. Part of a wildly different collection from Kitty, "Delphin" promises to brighten any surroundings! Modeled by Kitty Cantrell - "Just a happy dolphin saying, 'Look at me! Aren't I handsome and clever? Don't you wish you were as cool as me?'!" - this is a limited edition of 2001 pieces. 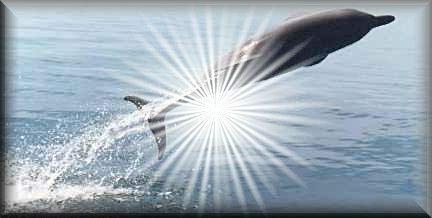 Please bookmark CollectibleDolphins.com for Dolphin Sculpture by Kitty Cantrell and much more.